Limited Supply- get your order in quick! 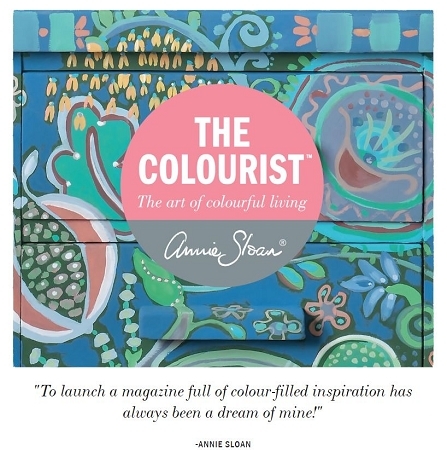 The Colourist ISSUE 1 is a unique Bookazine dedicated to Annie Sloan’s passion for colour. 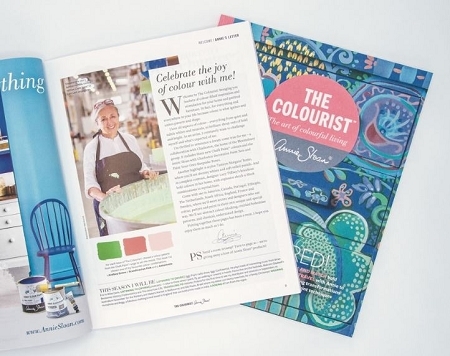 Annie has written 26 books in her distinguished career, but The Colourist is her first venture into the world of print magazines. 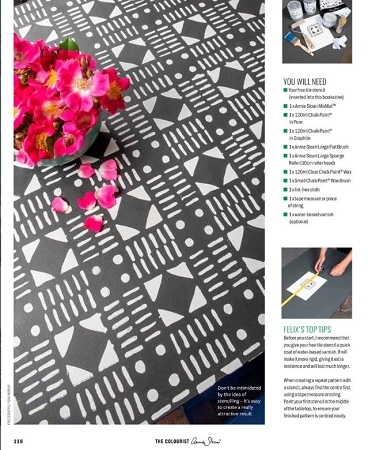 The Colourist is a bi-annual Bookazine publication (bigger than a magazine, smaller than a book). 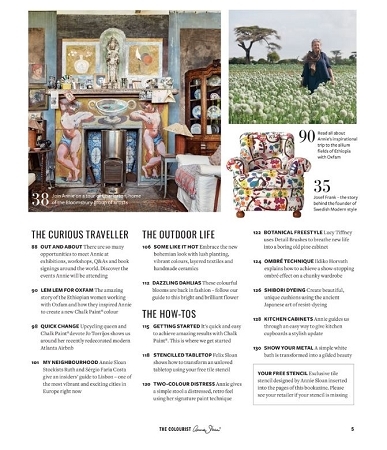 Each collectable issue will feature 132 carefully curated pages bound in a covetable cover. 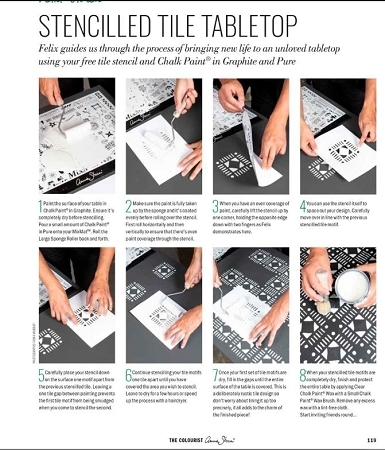 This first issue will include an exclusive free stencil by Annie Sloan with a step-by-step guide by Felix Sloan, to show you how to create a masterpiece of your own at home!